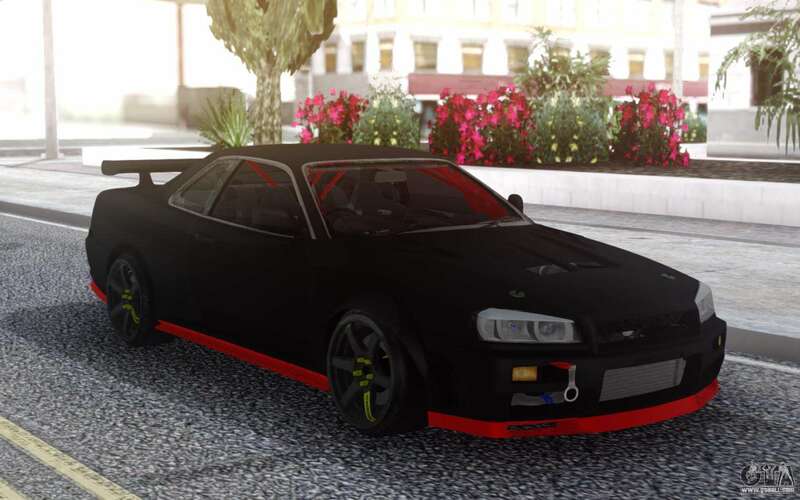 Nissan Skyline R34 Drift for GTA San Andreas. Machine for street racing, not for simple trips. 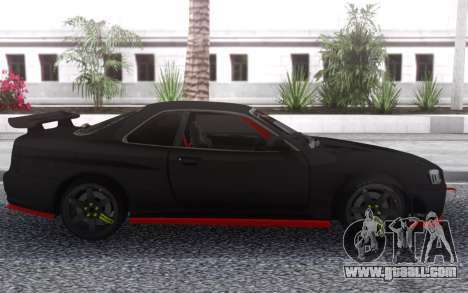 Don't miss if you like the smell of burnt tires and black marks on the pavement. 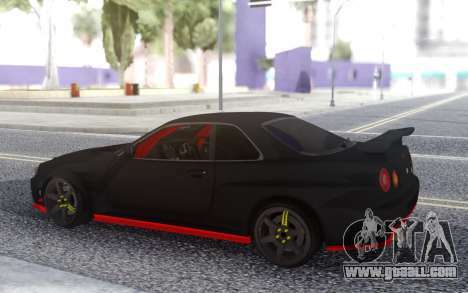 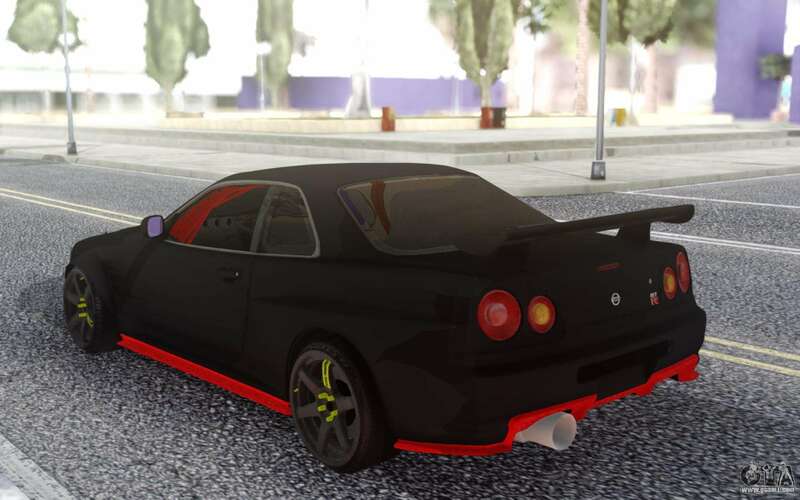 Free download Nissan Skyline R34 Drift for GTA San Andreas very easily. To do this, click the link at the bottom of the description.